It’s hard to believe that it took me two and a half years of living in Orlando, Florida before finally attending an event at the Amway Center! To be honest, I’m always intimidated by any venue that involves big crowds, mass seating, and busy traffic and parking. However, the Amway Center in Orlando was featuring a show called Marvel Universe Live!, and I really wanted to take my younger son. So I bit the bullet, bought our tickets and parking pass, and off we went on a chilly Saturday morning! 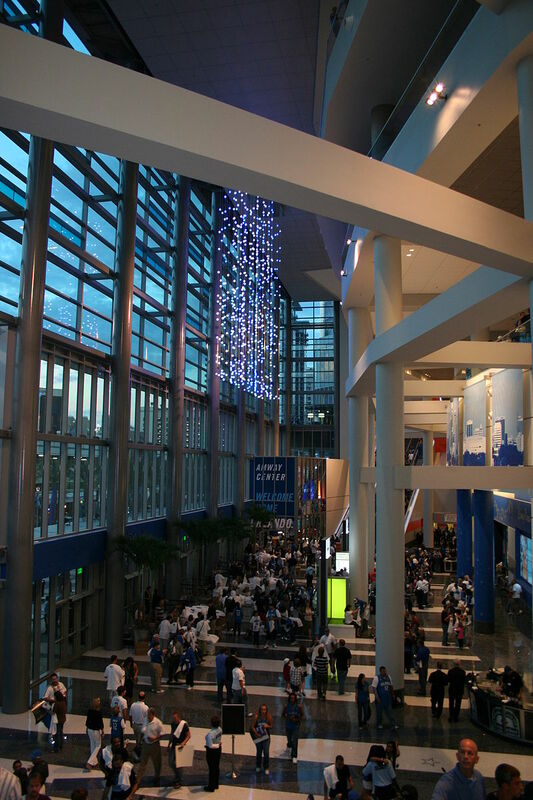 Here is some wheelchair accessibility information about the Amway Center and my personal experience attending an event there. Tickets. Before you even get to the arena, you have to buy a ticket. I bought mine through TicketMaster, which I love using because they actually allow you to purchase wheelchair accessible seats on their website! This may not sound like a big deal, but it really is. Even though the ADA requires ticket vendors to make accessible seats as easy to purchase online as regular seats, that’s often not the case. Many times you have to call a dedicated phone number for “special needs,” which includes buying your tickets. I’ve had this happen with Universal Studios for Blue Man Group (which has since updated their system) and Cirque du Soleil at Disney Springs (which is now closed). Parking. When you purchase your tickets, you have the option of buying a parking pass as well. For this show, I bought the VIP parking pass so we could park close to the arena. However, there was no dedicated handicapped parking spot due to construction and the way the VIP/Blue LOT was sectioned off. That being said, we arrived early enough that I was able to park in an end-of-row spot with a striped area next to it for my ramp deployment. Convenient accessible parking is located in the GEICO Garage, which is adjacent to the Amway Center. Guests using the GEICO Garage may access the Amway Center via the 5th floor GEICO Gateway pedestrian bridge, which connects to the Amway Center’s Terrace Level (Level 3). Additional accessible parking is located in Lot 9. There are also accessible parking spaces in surface lots and garages in the area surrounding the Amway Center. See Amway Center parking map for more details. Navigating. The Amway Center (like any other large arena) can get really crowded, and navigating through so many people in a wheelchair can be interesting if you don’t want to run over any toes! Fortunately, the signage is large and very clear, including which elevators will take you to your seats. This didn’t prevent my son and I from running into some problems getting to our row. We were in Section 113 Row WCC. We took the elevator to the 3rd (Terrace) level, then followed the sign (with a wheelchair symbol) to take a second elevator to the mezzanine level near our section. Three people that I asked along the way had no idea how to get us to our seats. One even told us we’d have to switch out our tickets because there were no accessible seats in that section. Fortunately, a supervisor was called and escorted us personally. However, it was clear that more staff members need training on accessible seating locations and how to take guests there. I did not buy anything at the concession stands, but from my vantage point, the counters were low enough that the would not pose a problem for a wheelchair user to order food or pay. I did buy some souvenirs, and everything was on display at a level that I could clearly see. There are six (6) accessible public elevators, located in the NE, NW, and SW corners of the building. These elevators provide access to all levels. There are also two (2) accessible elevators for guests with disabilities on the east side of the building, providing service to the Founders, Terrace, and Mezzanine Levels, and two (2) accessible elevators for guests with disabilities on the west side of the building, providing service to the Event, Founders, Terrace, and Mezzanine Levels. There are also four (4) accessible elevators for guests with disabilities in the NE, NW, SE, and SW corners of the Chase Club Level that provide access from the Chase Club Level down to the loge and club seating areas. Seating. The wheelchair accessible seating at the Amway Center was the best I’ve ever seen at a sports or concert venue. There were more than enough free standing seats next to each other to accommodate a large group or family. The seats themselves were covered with thickly padded leather and had one armrest with a cupholder. The view from our section was excellent, and since we were in the front row of that mezzanine section, nothing was blocking our view. The best part of our location was the fact that just at the bottom of the ramp to our row were not one, but TWO separate wheelchair accessible bathrooms! This was extremely convenient for us. 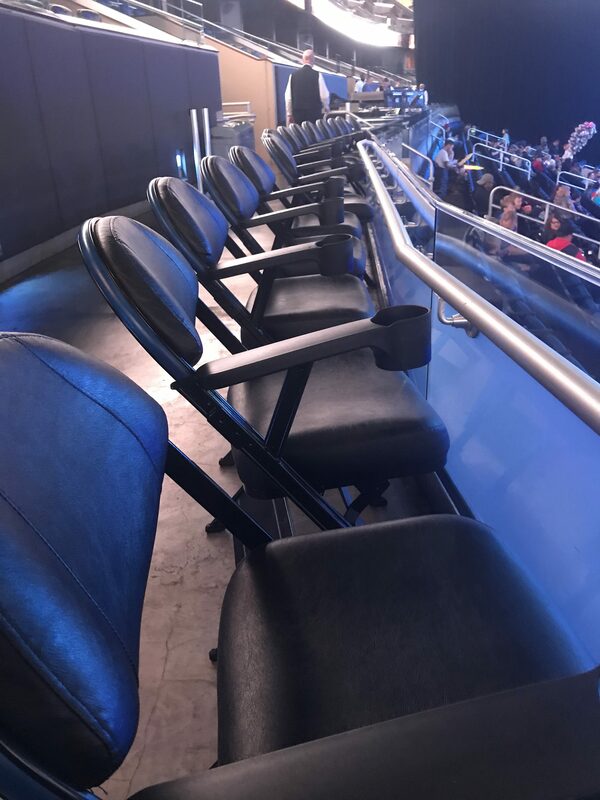 Wheelchair accessible and three companion seats are available at locations dispersed throughout Amway Center, offering guests the choice of an array of prices, amenities, and lines of sight. Seating locations vary depending on particular events. It is important to indicate when buying tickets if you require wheelchair accessible seating. For more information, please call TDD/TTY 407.916.2668. The Amway Center also offers assistance for guests with hearing or vision impairments, and people who require the use of service animals. 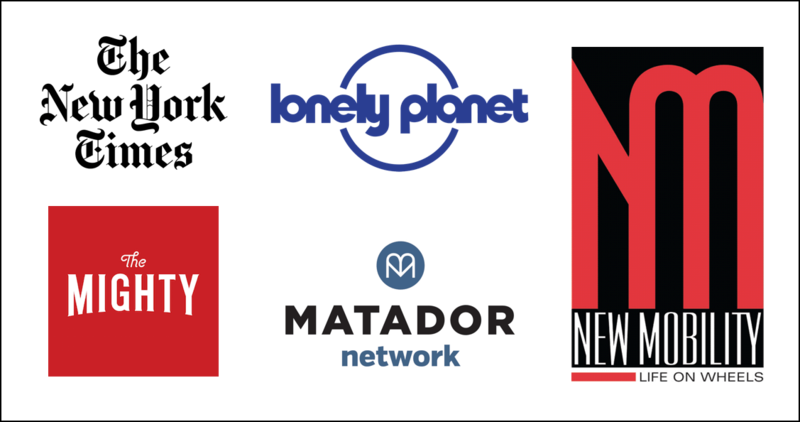 You can find more information about these services HERE. There are tons of great wheelchair accessible things to do in Orlando, and now you can add a concert or sports event at the Amway Center to your list! Does Orlando sound like a great destination for your next wheelchair accessible adventure? 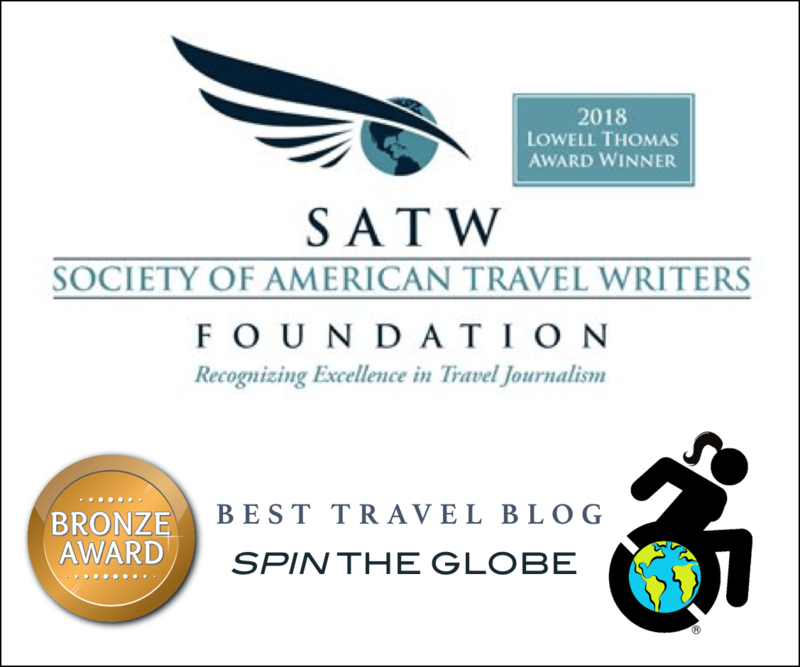 Then contact me at Spin the Globe/Travel so I can help you get there!